Hardly a day goes by without discussion about property, finance or a major development getting on to the news agenda in some part of the world. This section of the website brings you all the news about Savills from Taiwan. 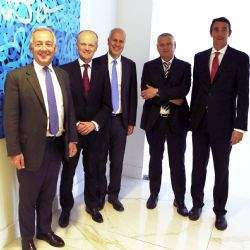 Savills has today acquired Larry Smith Italia, a leading shopping centre and out of town management and leasing business based in Italy.